Impetigo on the face. 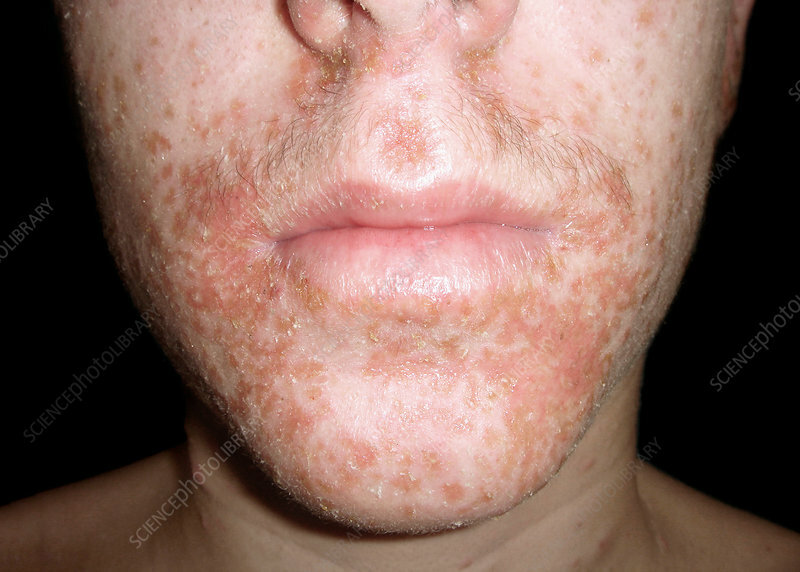 Close-up of a rash on the face of a 22-year-old male patient with bullous impetigo. Impetigo is a bacterial skin infection caused primarily by Staphylococcus aureus and sometimes by Streptococcus pyogenes. It causes the formation of pustules that contain fluid filled with bacteria. The infection is highly contagious. Treatment is with antibiotics.